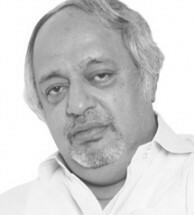 Humayun Gauhar is a well known columnist in Pakistan. He is the editor of Blue Chip magazine. "All Rivers Fall into the Ocean"
The Butterfly Effect Or Is It, Indeed, The Wrath of God! Is This the Beginning of the End for Nawaz Sharif? Pakistan and the Panama Papers : Not as Stupid as He Looks, Eh?